2014 marked the 20th anniversary of Professional Healthcare Resources, a goal DeCesare realized while receiving treatment for breast cancer. “That was what saved my life,” she asserts. 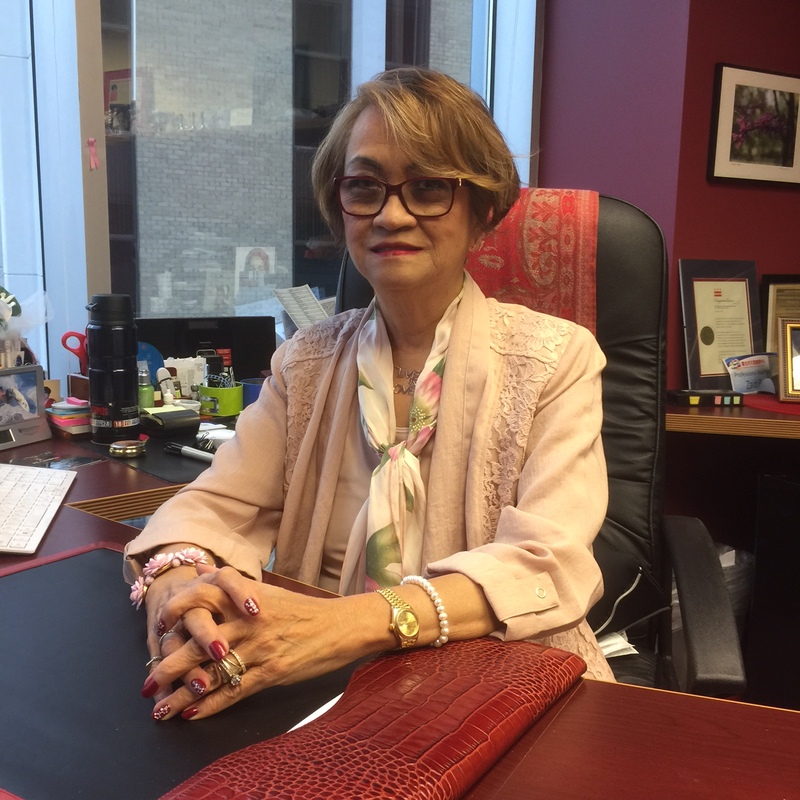 “There was no time to say, ‘Pity me, I have breast cancer.’ I was going, going, going.” Now, Professional Healthcare Resources has seven offices in Maryland, Virginia and Washington, D.C., and more than 700 employees, but DeCesare first came to the United States from the Philippines after being recruited by Cook County Hospital (now John H. Stroger Jr. Hospital of Cook County) during a nursing shortage in the 1960s. She spent 14 years there, serving as head nurse of the pediatric unit and chairperson for quality assurance for the entire hospital while taking weekend classes at DePaul before leaving for Howard University Hospital in Washington, D.C., to become assistant director of nursing in 1978. DeCesare eventually joined District of Columbia General Hospital, serving as deputy director of nursing and, later, director of nursing systems. After 11 years in that position, she started what would become Professional Healthcare Resources. Over the years, DeCesare has lived this mantra countless times. She raised $50,000 to build the Mrs. Philippines Home for Senior Citizens in Oxon Hill, Md., which provides independent housing for 73 low-income seniors, with four units designated for those with disabilities. She serves as president of the Professional Healthcare Hospice Foundation, a nonprofit organization that provides financial support to hospice patients. On Thanksgiving each year, DeCesare identifies which patients live alone and works with her staff to deliver home-cooked meals to the patients and their caretakers. “These are the kinds of things that keep me going and keep me grounded,” she explains. While she names her children as her greatest accomplishment, DeCesare remains humbled by, yet immensely proud of, her success. “I was able to achieve my dream of providing better quality care to our patients,” she says. “I feel very proud. I’d like to leave a legacy of true commitment and devotion to our patients.” After more than half a century as a nurse, DeCesare shows no signs of slowing down. “I love nursing,” she enthuses. “You must have passion for what you’re doing, and that’s what I have. I love taking care of people!